Libya’s September oil revenues were up by 5.6 percent on August (Photo: NOC). Libya’s National Oil Corporation (NOC) has announced today that the Libyan state’s September oil revenues were US$ 1.66 billion. This amounts to a rise of nearly US$ 93 million, up 5.6% on the August figures. 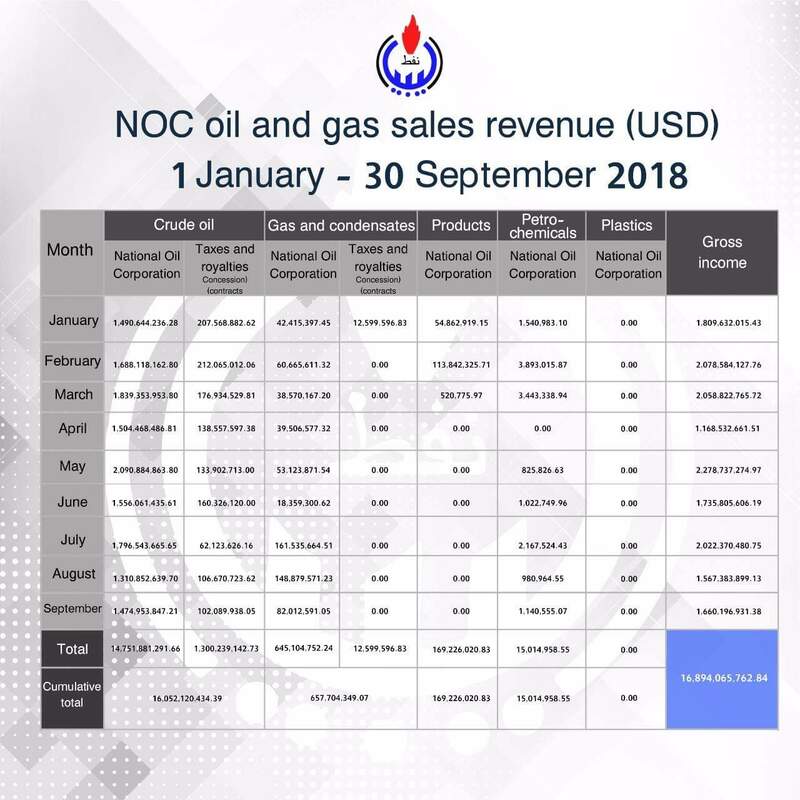 The revenues include the sales of crude oil and derived products, in addition to taxes and royalties received from concession contracts, the NOC explained. These hydrocarbon revenue figures put Libya on track to achieving the best earnings since 2014 and if used wisely could help kickstart the country’s stalled economy. It will be recalled that the Libyan state has been operating on a recurring annual budget deficit and has had to rely on foreign currency reserves to make up the deficits. The NOC pointed out that the country’s natural gas is now predominantly produced and delivered through the coastal pipeline to feed the local market, with only the remaining quantities being exported. The NOC said that it is publishing its monthly oil and gas revenues in order to enhance transparency and build public trust in their public institutions. It said that audited transparency must become the norm for the entire public sector and government departments – thereby ensuring the fair distribution of oil revenues across the country. The NOC added that it advocates for economic transparency to be embraced as the principal ingredient to future stability, and any lasting political settlement.